Rajma (Kidney Beans) is very commonly cooked in Indian kitchen. 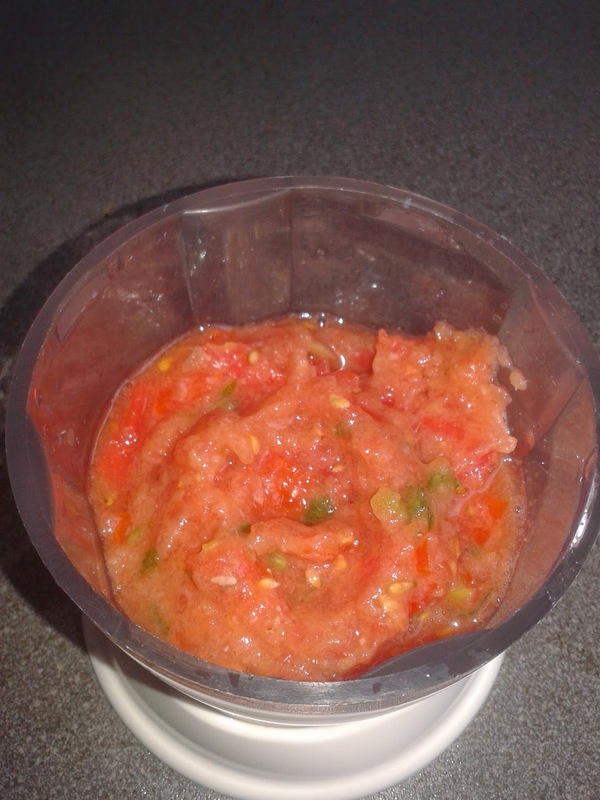 It is a very easy and quick recipe and can be cooked within 15-30 minutes. Kidney Beans are a also great source of protein. 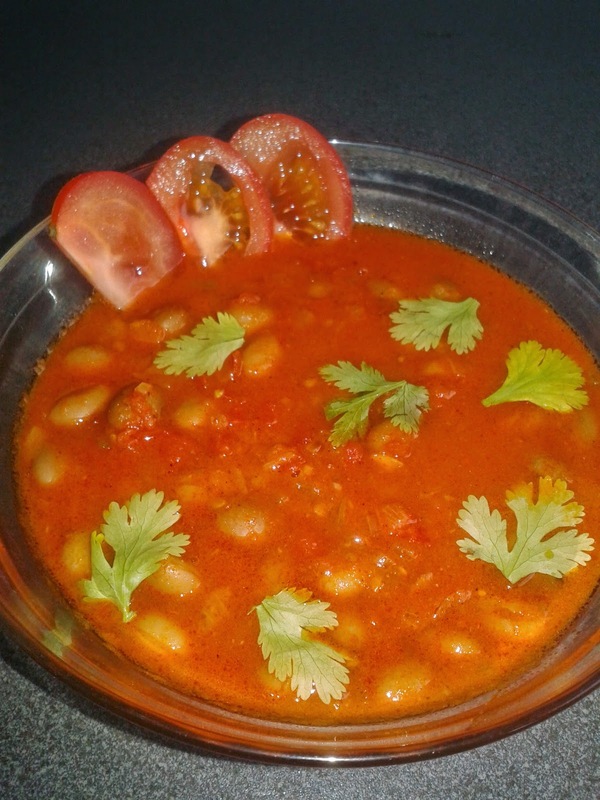 The best way to cook Rajma is in a spicy onion and tomato gravy. 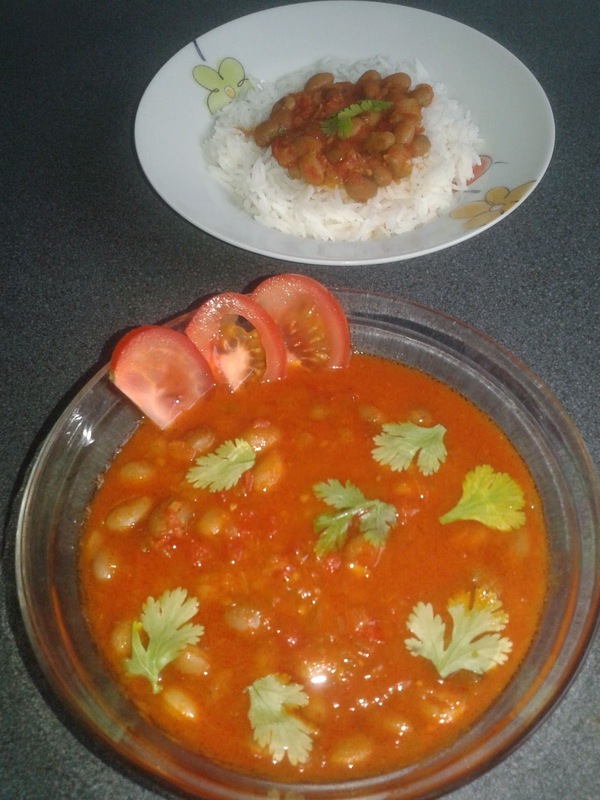 Rajma tastes great with Chawal or rice although it can also be served with Paratha. 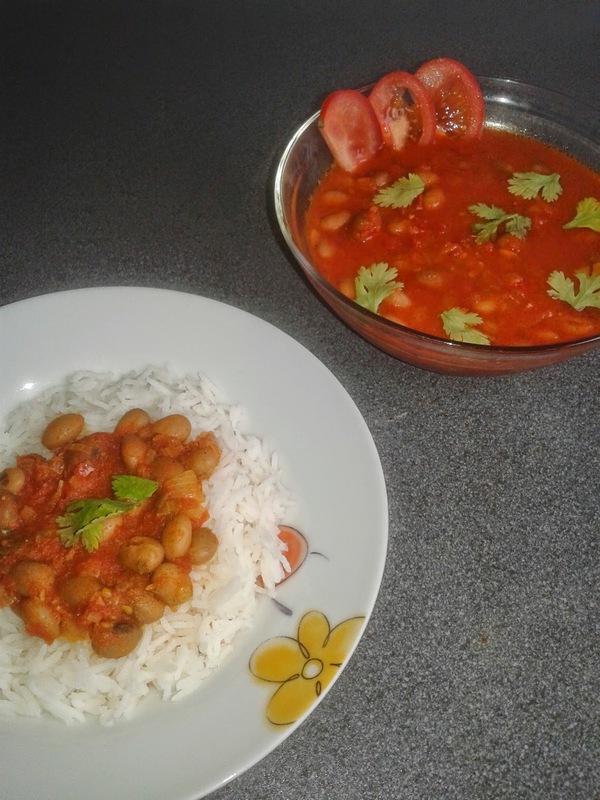 Rajma Chawal can be made for lunch or dinner. The combination of Rajma and rice generally lists as a top favourite of North Indians. I prefer to use the small light brown Rajma as compared to the big maroon ones. So let us proceed step by step. 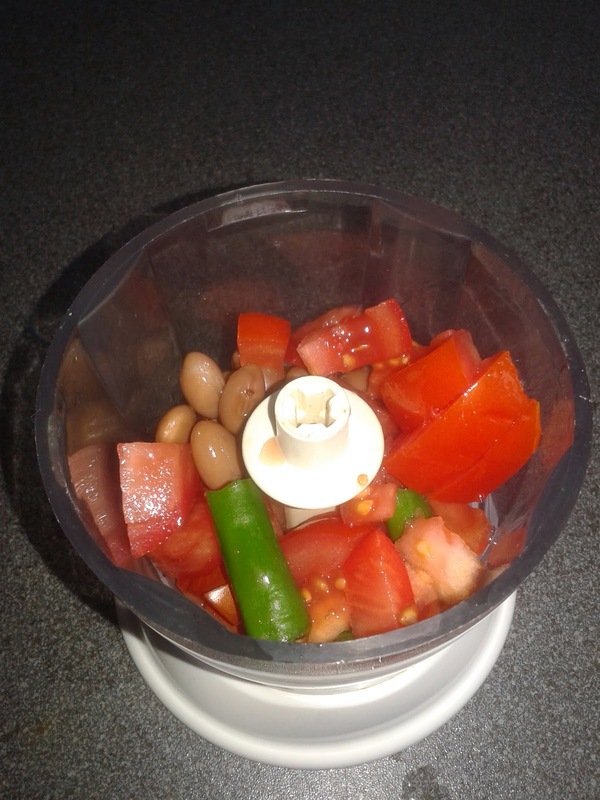 Soak the Rajma in water for about 8 hours. 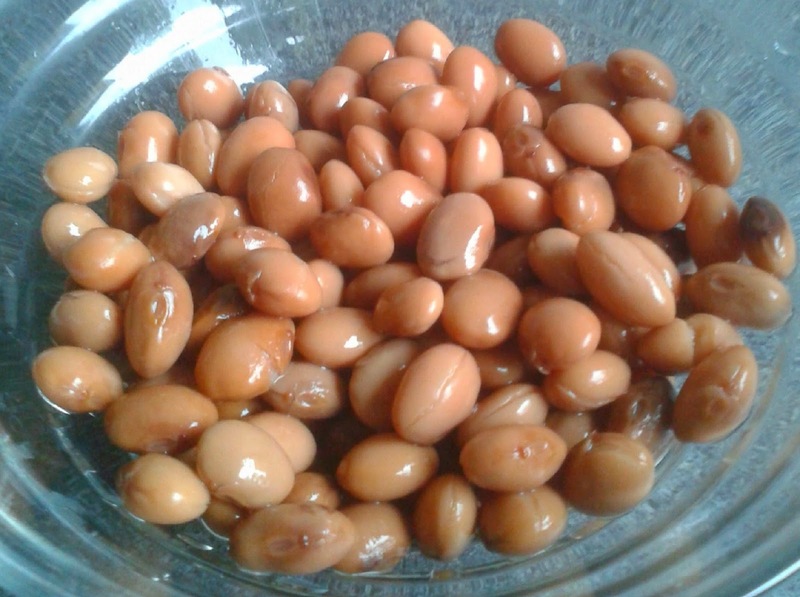 The Rajma (Kidney Beans) can also be soaked over night. Pressure cook the soaked Rajma for 5-6 whistles till they are completely cooked. 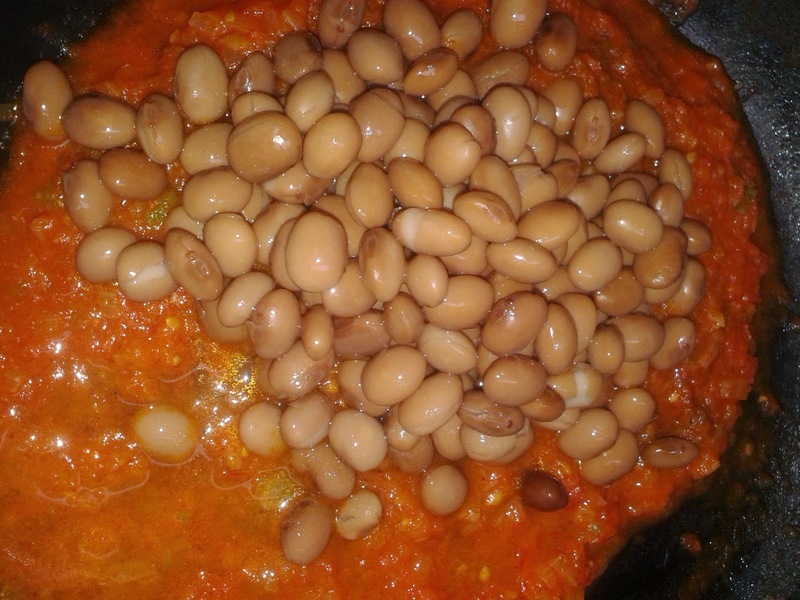 Always make sure that the Rajma beans are properly cooked and crush between your fingers with minimum effort. Heat about 3 table spoons of oil in a non stick pan. Add finely chopped onion. You can add a little salt so the onion cooks faster. Fry the onion for about 10 minutes on low flame till the oil separates and the colour changes to golden brown. 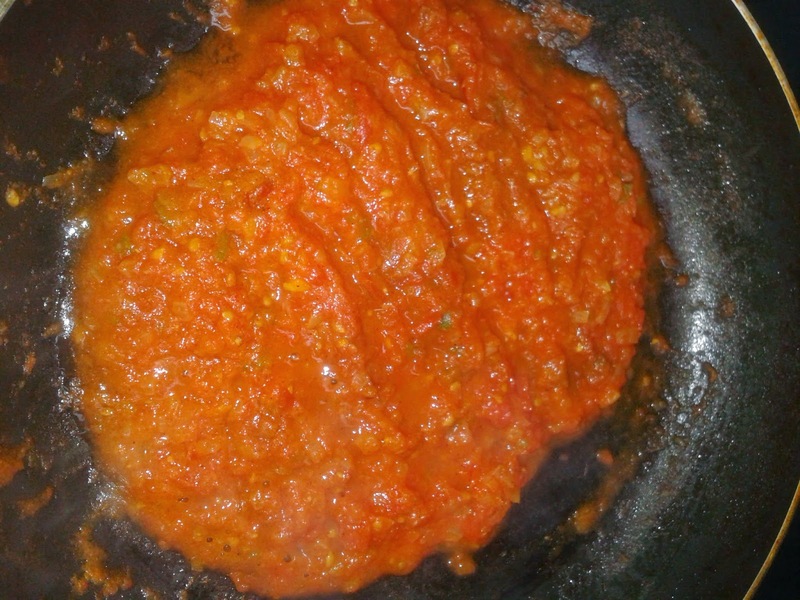 Now add the tomato paste and some fresh ginger garlic paste. Mix all ingredients well and cook for about 10 minutes. Now add red chilli powder, turmeric powder, garam masala and salt to taste. Mix well to make a fine curry. Add the cooked Rajma to the curry and also add about half cup of water and some lemon juice. 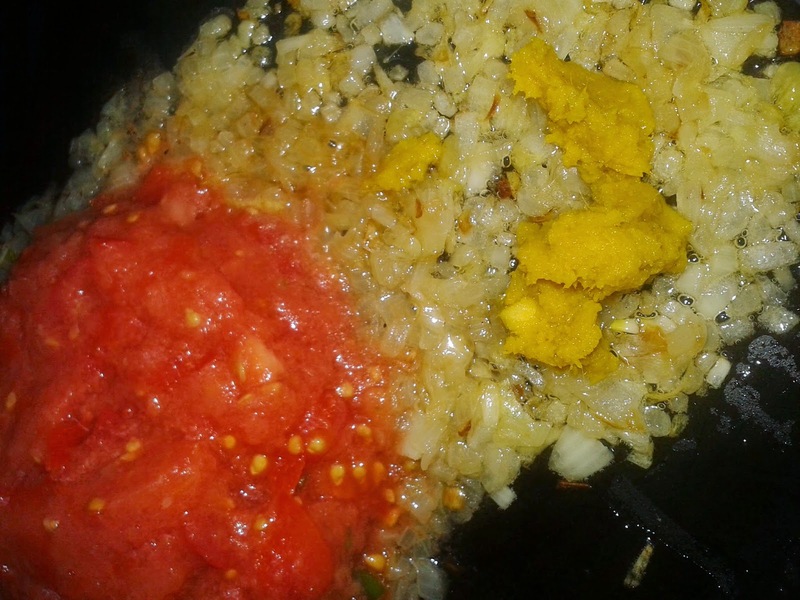 Thank you Rajesh kumar i agree with you it's an easy dish with full flavors..